An ee file extension is related to the EiffelStudio and used for its source data. The e file extension is associated with the EiffelStudio, an integrated development environment for Microsoft Windows, Apple Mac, Linux and other platforms. The e file stores source data for EiffelStudio. 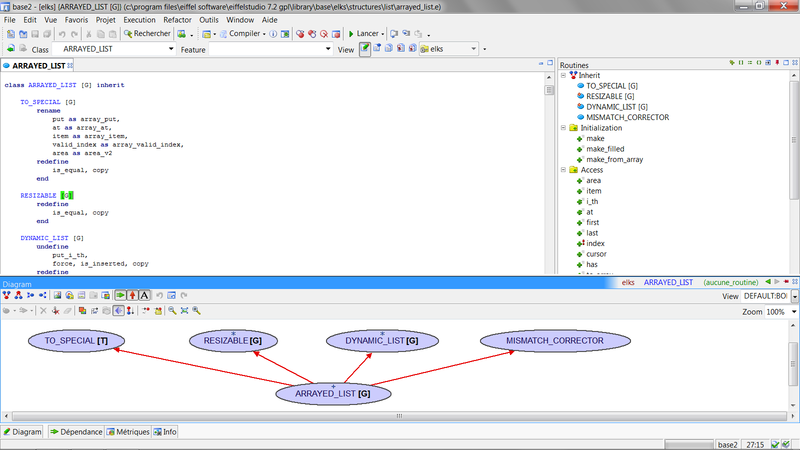 EiffelStudio is an Integrated Development Environment (IDE), a software application that provides comprehensive facilities to computer programmers for software development, powered by the Eiffel language. EiffelStudio has a comprehensive suite of tools and services that enable programmers to produce correct, reliable, and maintainable software and control the development process. Use compatible tools to work with *.e files. and possible program actions that can be done with the file: like open e file, edit e file, convert e file, view e file, play e file etc. (if exist software for corresponding action in File-Extensions.org's database). Click on the tab below to simply browse between the application actions, to quickly get a list of recommended software, which is able to perform the specified software action, such as opening, editing or converting e files. Programs supporting the exension e on the main platforms Windows, Mac, Linux or mobile. Click on the link to get more information about EiffelStudio for open e file action. Programs supporting the exension e on the main platforms Windows, Mac, Linux or mobile. Click on the link to get more information about EiffelStudio for edit e file action. Programs supporting the exension e on the main platforms Windows, Mac, Linux or mobile. Click on the link to get more information about EiffelStudio for create e file action. Click on the software link for more information about EiffelStudio. EiffelStudio uses e file type for its internal purposes and/or also by different way than common edit or open file actions (eg. to install/execute/support an application itself, to store application or user data, configure program etc. ).